I have been collecting parts & info for #10536 and wanted to know if some of the 45 aficionados might know the front bumper hole layout & how many holes were originally there in 1945? CJ2A #10536 seems to have a few extra holes and I will need to correct this. Just a thought on the extra holes. I have seen a lot of restored vehicles that people erase all of the battle scars from and along with that a lot of the history of that vehicle. My 1948 has some chain links welded to its draw bar by some farmer years ago to anchor break away chains. 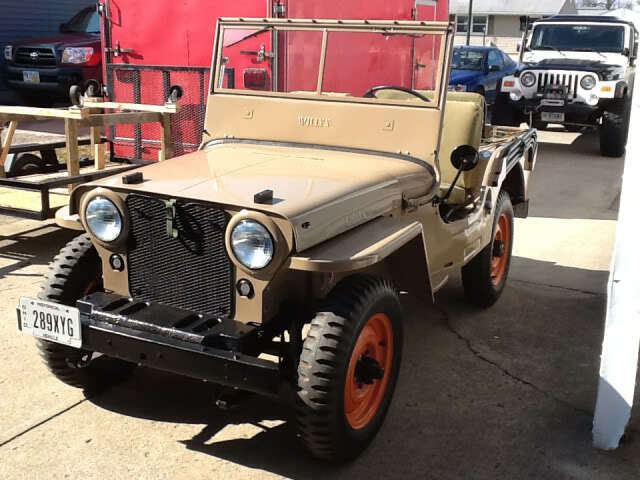 It also has a Koenig PTO winch that is not a factory install job with some old repairs to it. Both add to the character - weight to the fact that this is not a 90% offshore replacement part vehicle - but a vehicle that still has a lot of 1948 Toledo, Ohio still present. You might consider the extra holes as reenlistment stripes. Your call your Jeep! I must agree that some of the "patina" added by previous CJ2A caretakers is a plus & I too am a preservationist at heart. I do feel however that the Swiss cheese look of this front bumper is a bit much IMHO . Unless someone can say they were extra holes for early Agra-JEEP weights I think I would like to plug a few of the many extras out front of this 45. Have you looked at this thread from the parts project? Some of the pictures are gone along with some of the contributors, but a drawing by Jus*Jack is there that might help. I am completely with you on the Swiss cheese look. There is our 1948 front bumper with the PTO Winch (note the farm fix handle) and the flat tow brackets / home made Jib Crane brackets. At some point it looks questionable. I was hoping some of the "45 Guys" would chime in and post photos of their original 45 front bumpers w/SN so I could compare. I have had several original early front bumpers in the past and they all appear to match the "Jus*Jack" drawing. This is a very early column shift 46 I had a couple of years ago. This is a 48 Lefty I had a couple of years ago. This is the original front bumper on my 48. 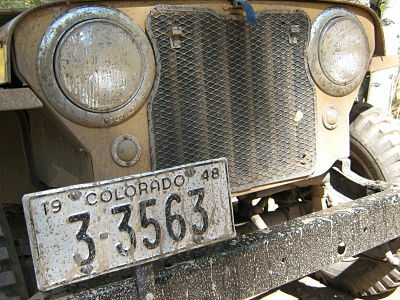 I am just wondering if the 45 were at all different as are many things on early 1945 CJ2As? 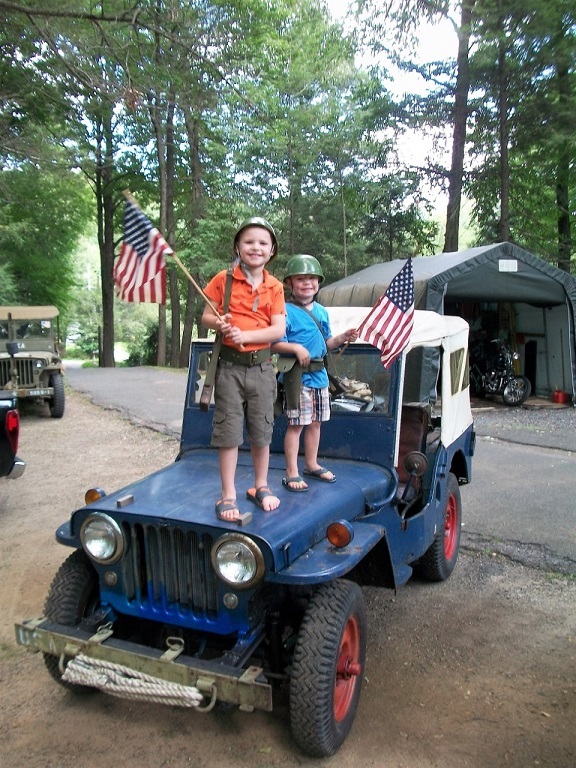 I see pictures of this jeep everywhere its often the common “representation picture” of the CJ2A online. I’ve never understood why they decided to go with black headlight bezels after everything else was done pretty accurately. I do believe this is a very very nice 45 however it has a few other small inaccuracies I spotted too, seat covers for one. IMHO our Mike Meyers 45 is a much better "representation WILLYS". I can only dream that mine will be half as nice as either of these examples when completed! Mike gets extra points for the front Ag weight, chaff screen and bows properly stored in the pockets! But What the heck happened to his hood latch? I looked at the Motor Trend pictures but for some reason I couldn't find the text. That looks to be the CJ2A that was part of the Chrysler collection based on the odd location of the Capstan winch plate on the dash. (CJ2A 10026?) If it is, it came out of an Oldsmobile dealership in Philadelphia around 1997 basically as a barn find. Chrysler bought it and had it 'restored' by a very reputable shop. The workmanship was better then original, but the little details were restored by individuals without access to the original data that seems to be available today. My personal opinion is that was Barney Roos's Jeep. The dealership was a few miles from his home where he retured. As for front bumpers, Fred Coldwell and Mike Myers are the 2 guys with the definitive answers. Or you might ask Daron Wanberg to send a photo of the bumper on 10011. I'm pretty sure it's still intact. I was just trying to be funny I guess.... No disrespect intended, she is absolutely a beauty! I hope someday to even come close to that level! Here's a close up of Woody's Bumper #11802. "They can have my Jeep when they pry it from my cold, dead hands." It is looking like the 1945 CJ2A front bumper was much like the later CJ2A bumpers according to your photo & other feedback I have received. I am hopeful that some of the other 45 owners will send photos to corroborate this. 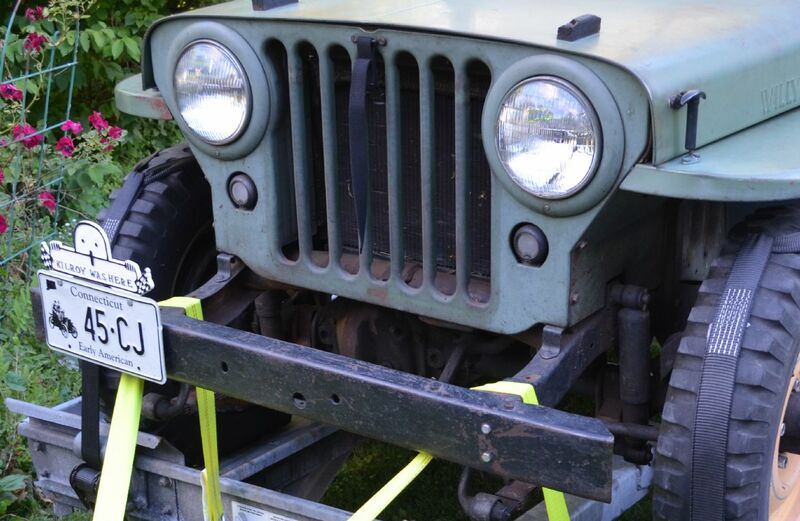 I will get a photo of the bumper on my 45 CJ2A-11809 and send it to you. I am not computer literate enough and have trouble posting photos. You may post the photo if you wish for me for all to see.